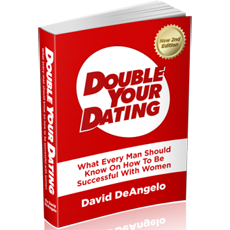 "This book changed my life"
I was a total failure with women. I remember how miserable my love life used to be. How much frustration, emotional instability and neediness I used to suffered. It didn't teach me any routine, any gambit, or any strategic system of gaming. Rather, it gave me the core beliefs required for everything else. I have enjoyed success thanks to many other products, but this one is, and will always remain as the one that made the difference. David DeAngelo, Thanks for helping me become a man.